New technology in the world of security cameras has made great strides in the technical abilities of these cameras. Cameras have better resolutions, increased fields of vision, more megapixels, and more details. They can be connected wirelessly to open-sourced systems, allowing for easier accessibility and great scalability. As significant as these advances are, they are made even more so by the improvements in video management software and integration of security systems which have accompanied them. New VMS software allows for mobile access, cloud storage, high-definition real-time feeds, and, perhaps most importantly, forensic analysis and integration with other systems. These last two features are changing the dynamic of security. In the past, security cameras were fairly passive. 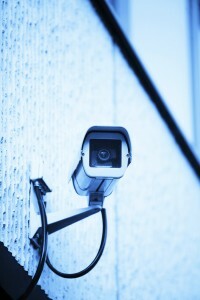 CCTV cameras recorded footage, but were unable to provide analysis, or integrate the data from this footage with other systems. Now IP cameras connect with VMS and provide them not only with footage but with data that the VMS can use for highly detailed analysis. The data generated from this analysis can then be used in conjunction with other security systems and human personnel to turn mere detection into full-scale prevention of security incidents. For example, past data can be analyzed to predict future events, which can then be accounted for by taking extra precautions and preventative measures. In this way, security cameras, with the help of advanced VMS and integration, have transitioned from static and passive, to dynamic and active, and are leading the way in security prevention efforts. This entry was posted on Thursday, March 20th, 2014 at 2:30 pm. Both comments and pings are currently closed.